Come explore the history of Rossland from incorporation to today. Learn about Ross Thompson and his efforts to turn a small mining community into the vibrant city it is today. Stop by the geology section to learn about mineral formations from around the globe. Check out our Nature Wall to discover some local species and find out about some that are endangered. You can also view Father Pat's Memorial Ambulance which was once used to transport the ill and injured. Discover the origins of power to Rossland! 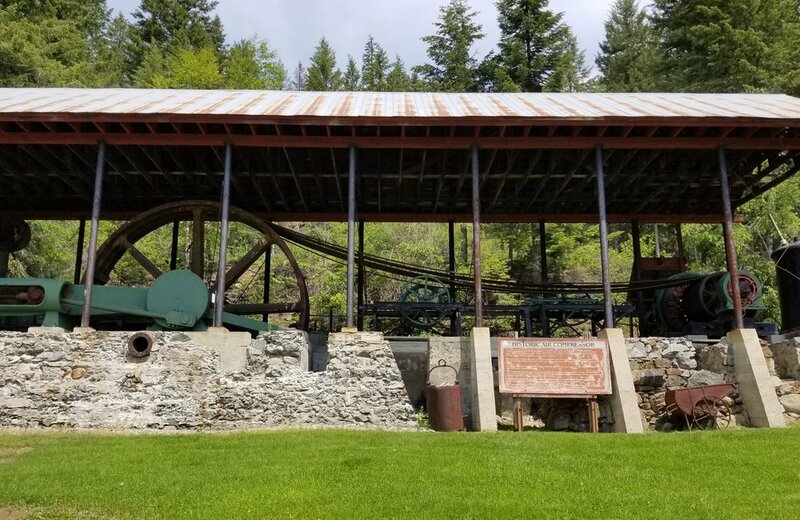 From delivering electricity to drills in the mine to providing light to the town, find out how the West Kootenay Power and Light Company developed some of the first power systems in North America. Learn about the Consolidated Mining & Smelting Company and its transition throughout time from its development in 1896 to the industrial powerhouse it is today. This wing was developed in partnership with Teck - Trail Operations. Dive into the rich history of skiing in the Rossland area. From the first ski competitions with Olaus Jeldness to the Rossland and Red Mountain ski clubs, learn about the formation of one of the area's largest attractions. Come explore the mining history of Rossland. From the large compressor and caboose to the Geology Building and the Warehouse, find out the practices and tools used to mine the vast quantities of gold and other minerals from the depths of Red Mountain.